Forget about complicated contracts, complex procedures and monthly payments... Our aim is to support independent artists from all over the world. We ensure that your music is distributed to all the major online retailers, including iTunes, Napster and Amazon, and you can start it from $9,99. All associated artists will receive up to 85 percent of the profits, without losing rights to their brainchildren. Get ready for a revolution in the music industry. We are an independent website dealing in the distribution of music on the Internet. 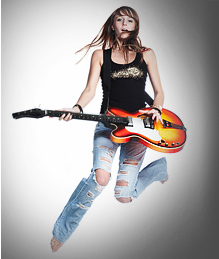 Our forward thinking solutions pretty much guarantee that your music reaches all four corners of the globe. We work closely with such multinational retailers such as iTunues, Napster, and Rapsody. via ME, in all shops for no more than $9,99, with no strings (i.e. monthly payments) attached. And it can all be done with a little more than a few clicks of your mouse. 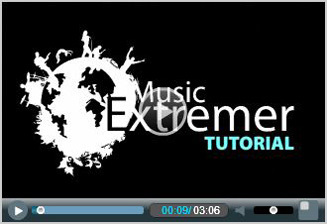 To find out more about Music Extremer, check out the tutorial on our website, or on Youtube. Get a free acount, fill the form and after clicking on 'Create Account', you will receive an e-mail with instructions on how to activate your account. copyright © 2009 - 2019 Morse Code, Inc.